Glovius 4.0 for Windows is here! Our mission at Glovius is to offer you modern 3D viewers that are affordable and easy to use. Release 4.0 makes Glovius easier, faster and more robust. The ribbon interface is now cleaner. Compare, Move and Analyze tools have been grouped together. PMI filters have been moved to the annotation tree. Export to Glovius is now available in the Save dialog. JT Editor features have moved to the Save dialog. For larger files, you can check the file open progress from the task bar. This helps you work on other items while you wait for Glovius to open large assemblies. The Annotations tree now includes filters, which were previously part of the ribbon bar on top. This makes the filters more contextual and meaningful. Assemblies with missing parts will show an orange icon in the status bar. Missing components will be highlighted in red in the component tree. Users can select and load the missing parts by clicking on the component name in the tree. Glovius will open 3D models faster. 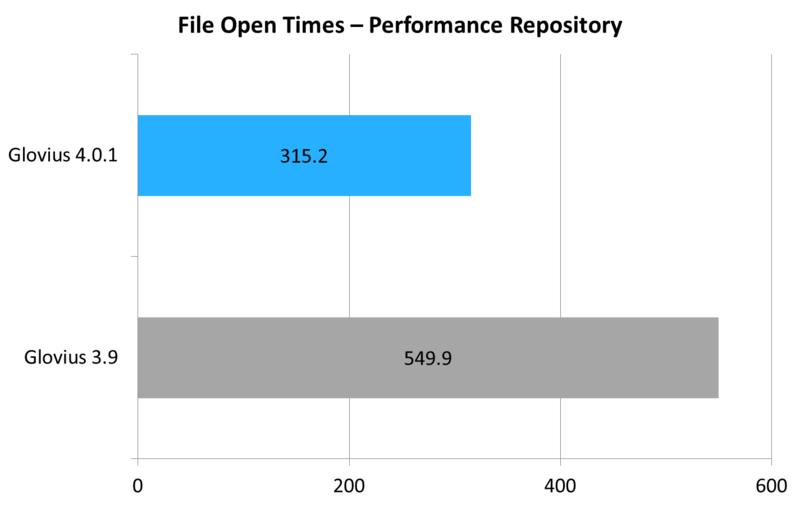 43% faster, compared to Glovius 3.9. This optimization will be available for all types of parts and assembly files, including CATParts/CATProducts, SLDPRT/SLDASM, PRT/ASM, STEP, IGES file formats. Glovius 4.0 fixes known bugs in floating license configuration, wireframe rotation, and opening of VRML files. JT files will load faster with this release. For the next release, we continue our work on performance. Our focus remains the file open time, and better memory management, so that Glovius can do more with less memory. Improvements in Markup are also in the pipeline. For questions, feedback and feature requests, please drop me an email at sid@glovius.com. Glovius 4.0 for Windows is now available for download. 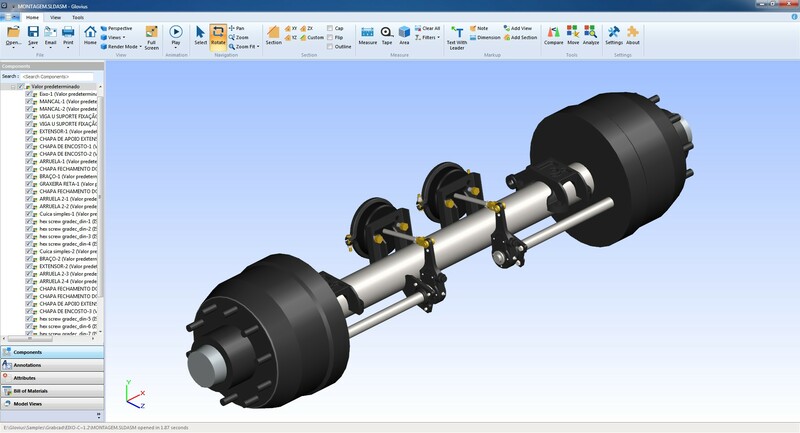 Register and download a free 7-day trial to view, measure, section, markup and compare 3D models from popular CAD formats like CATIA V5/V6, Pro/ENGINEER and Creo, SolidWorks, STEP, IGES, JT and more. Subscription customers can upgrade to the new release immediately. License customers who have purchased Glovius after September, 2013 can upgrade to the new release free of charge. Please contact us at support@glovius.com if you face any problems.